Our Mission: To promote the U.S. lamb and goat meat industry with a particular emphasis on producers and specialty markets in the Northeastern states. Our primary goal is to improve producer access to equitable markets while building regional capacity to supply the growing consumer demand for high quality lamb and goat meat. REGISTRATION: To add a producer entry or classified ad, you must first register. To register, click on the Menu tab at the top. You do not need to register to browse the directories and educational resources. Having lambs year round or across several seasons can make your flock more attractive to volume buyers. To learn more about accelerated lambing systems go to the Cornell Sheep Website and under management choose reproduction. This web site is full of info for small and large sheep flocks. Most breeds of sheep and goats are seasonal breeders. 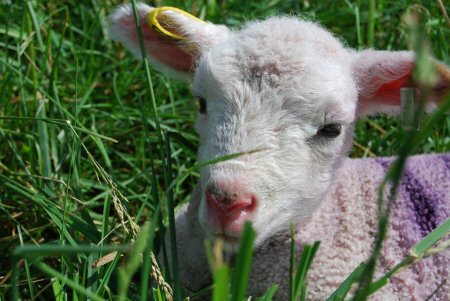 Thus lambs and kids may demand a premium price in seasons of the year when they are rare. 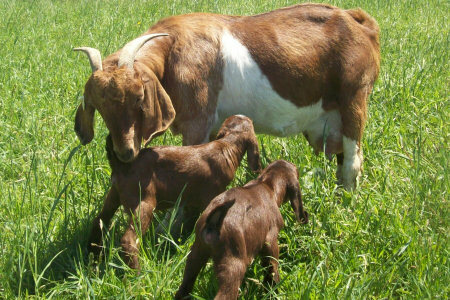 To find out more about breeding goats out of season check out the herd management fact sheet on the topic at the Cornell Goat Extension Website. Click here to find out how to plan breedings to target specific holidays. Thanks to Heritage Foods USA and their "No Goats Left Behind" Program, October is Goat Meat Month in NYC. More than 50 restaurants vie with each other to produce outstanding goat meat cuisine in support of NE goat dairies and farms. In addition, our Marketing Directory lists many NYC retailers and live animal markets that supply consumers with goat meat year round. The Humane Halal Slaughter POSTER outlines the techniques for humane (Halal) on-farm slaughter and is available as a free download. Un-laminated 16" x 20" color copies can also be purchased for $10 by contacting tatiana Stanton at tls7@cornell.edu. Cornell Sheep and Goat Management Listserv – join by filling out the form at Cornell Sheep Website. 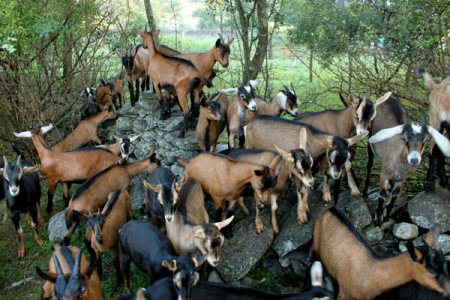 This list serv aims to assist in the management and marketing of goats and sheep. Current regional prices as reported by USDA for the New Holland Sales Stables. Historical prices are also available (in item 1 [find results], enter LN_LS322). The information in these USDA reports can be used as the basis for local pricing.